Donna Johnson, 66 of Eau Claire, WI passed away on January 19, 2019 at Mayo Clinic Health Systems – Eau Claire. Donna was born in Chippewa Falls, Wisconsin at St. Joseph’s Hospital to Mary Rose Johnson (Rice) and Lynn O. Johnson on October 30, 1952. Donna grew up in Louisville, Kentucky, a city that has remained in her heart her whole life. She loved the Kentucky Derby, working there every single year as a means of visiting her family, friends, and the city she called home. A devoted single mother, Donna was a strong woman from a family of strong women. She loved her family and dedicated life to her only son Scotty, who was, in her own words, “the light of her life”. A remembrance for her will be held at Smith Funeral Chapel in Eau Claire WI on Wednesday, January 30, 2019 from 2:00-6:00pm. Burial will take place the following day at 12:00pm at Cornell Cemetery, placed next to her mother, Mary Rose and sister Mary Jo. 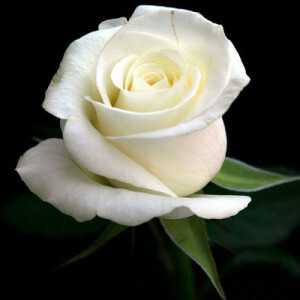 You may find directions and other information available at www.smithfuneralec.com. Thoughts and prayers goes out to the family and friends. In times like these we forget that the mourning is for the ones left behind. We struggle with the lose of our loved one. In a way we are very selfish as we don’t want to not see them anymore. We forget all the hard struggles, pain, tough situations that our love one endured to be here on this earth and to share our lives. It’s okay to cry as long as we understand the tears we shed are not for them but for us as we struggle to find a way to navigate the rest of our lives without their guidance and physical presence. They will always be in your heart and in your memories. Cherish those times. Matthew 5:4 Blessed are those who mourn, for they will be comforted. I am so sorry that Donna’s life went the way it did, but I do feel like she is free now and so much better off where is she is now! I will love her forever and cherish our friendship forever!